Residents of Mount Greenwood on the city's South Side placed ribbons around trees in a show of appreciation for Chicago Police officers. 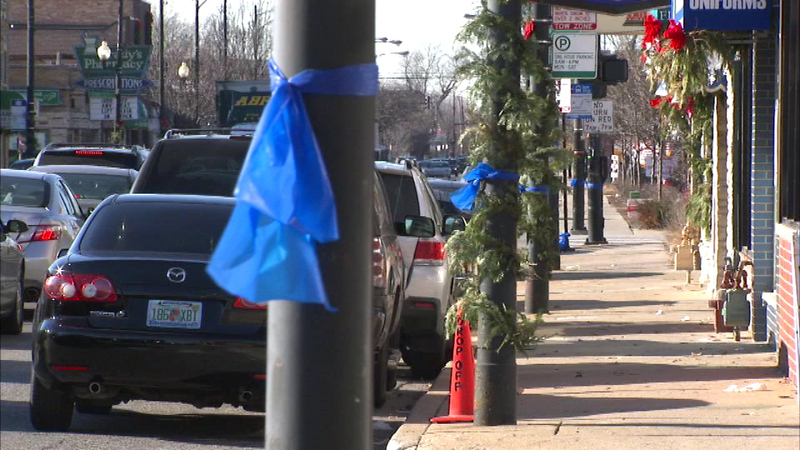 CHICAGO (WLS) -- Residents of Mount Greenwood on the city's South Side placed ribbons around trees in a show of appreciation for Chicago police officers. It was part of the Blue Ribbon Walk that began at 111th and Kedzie. The walk honors police officers across the country.